WHAT CYCLING CLUB SHOULD YOU JOIN? I’ve done group riding with a small number of friends for years. Dave and I rode two or three mornings a week before work for a few years as we trained for an annual 2-day charity ride and other events. We’d often join up with Peter, Andy (RIP), and Marty for weekend rides in the late spring and summer when we could work around all of our family commitments and a range of other cycling plans. Friends like David and Tom would join in from time to time. And I so wish Patricia would ride with us again. Together, we’ve gotten or kept each other in shape, done some epic rides, raised a lot of money for great causes, and built some incredible bonds. The camaraderie I have with my riding buddies has been central to why I love cycling. It’s great when we can get together and we try to most weekends. But, it’s become tougher and tougher as our family commitments, cycling habits, and training objectives have grown more diverse over the years. This year I looked around for quite a while to find a cycling club to join. Since the spring I’ve been riding with one called the Monsters In the Basement. The people I’ve met there are as committed to riding and pulled in different directions as my long-time riding buddies are. But, with a bigger pool of cyclists to start with, there’s enough people who can make it to each of the half-dozen regularly scheduled and ad-hoc rides each week to have a solid group of leaders and riders every time we head out. We do defined routes organized by speed, distance and climbing options. At the same time, we maintain a common focus on safety, pulling for each other, making sure everyone makes it back and generally having a good time. The same kind of camaraderie that I’ve built with my riding buddies exists in my new club among its established members. If I put in the effort, I see that I can build that within this group as well. It’s a welcoming crew, some of whom make time to get together to socialize and do volunteer work to give back to the community too. It wasn’t tough to find the club I joined but it also wasn’t easy to pick the right one amongst several I’d heard about. In talking to others and hearing about the range of clubs and options like Meetups, bike shop organized rides, and employer, bike advocacy group and cycling association programs being offered, I can see my experience trying to find the right club to join is not uncommon. What’d I’d like to offer you, and ask for your help as In The Know Cycling readers, is a way for anyone to find the best enthusiast cycling clubs near you, ones that can offer you the kind of experience that will make your riding even more fulfilling. And if you are already part of a club you think is worth recommending to others and is looking for more people to make it even better, here’s a place to let your fellow enthusiasts know about your club and why you love being part of it. What’s an enthusiast club? For me it’s one that attracts riders I call road cycling enthusiasts, the regular, committed cyclists who ride throughout the week, at speeds in the high-teens to low-twenties (miles per hour) or high-twenties to mid-thirties kilometers per hour, typically go out for 35 to 50 mile (50 to 80km) rides on varying terrain, rack up between 2,000 and 5,000 miles (3,000-7,000 kilometers) a year, and have bikes that cost at least $2500/£2000/€2500 and often much more. We aren’t dedicated racers, though we may race from time to time and we’re more than weekend warriors, though our longest rides of the week often have to wait for the days when our jobs don’t get in the way. If you are an enthusiast looking for a club, you’ll find a list below to start your search. If you are part of a club that you like riding with that you think would be a good group for other enthusiasts to join, tell me about it in the comment area below the club listing. Share your club’s name, where it is based, its website link and a reason or two why you love being a part of the club. I’ll look it up and if it’s inclusive and isn’t associated with a business, for-profit, advocacy or non-cycling cause organization, I’ll add it to the list along with a little description you give me or one on the club’s web site. There are lots of gaps in the list, especially in countries where I don’t speak the language or I just couldn’t sort through all the clubs to pick some of the best. Help expand and improve the list below so we can all find the right club and group of friends to make our riding better. Keep reading or click on any of these links to go directly to another section of this review. “NCVC is the largest amateur racing club on the eastern seaboard. Cycling Australia provides a “Find a Club” look-up page here to find clubs closest to where you’d like to ride. In the comments section below, please tell me about clubs you ride with in Belgium and provide a link to its web site. Click here. In the comments section below, please tell me about clubs you ride with in Brazil and provide a link to its web site. Click here. In the comments section below, please tell me about clubs you ride with in Denmark and provide a link to its web site. Click here. In the comments section below, please tell me about clubs you ride with in Finland and provide a link to its web site. Click here. 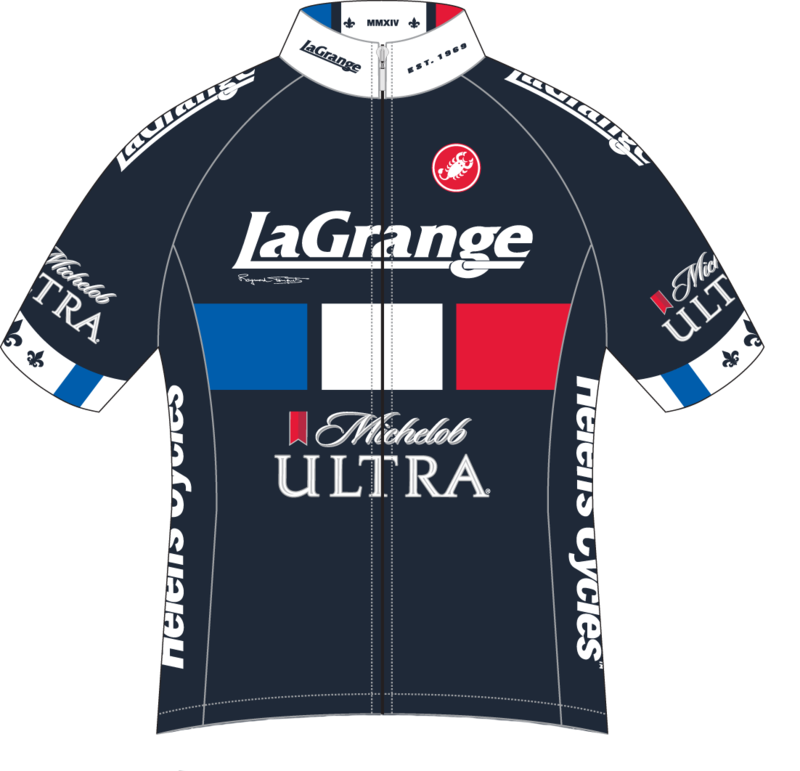 In the comments section below, please tell me about clubs you ride with in France and provide a link to its web site. Click here. In the comments section below, please tell me about clubs you ride with in Germany and provide a link to its web site. Click here. In the comments section below, please tell me about clubs you ride with in Hong Kong and provide a link to its web site. Click here. Cycling Ireland provides a page here to locate a club near where your ride. A post on the Tokyo cycling club scene from a foreigner’s perspective including links to clubs made up principally by Japanese riders and others whose members are mainly foreigners living in the Tokyo area can be found here. In the comments section below, please tell me about clubs you ride in Japan and provide a link to its web site. Click here. In the comments section below, please tell me about clubs you ride with in Malaysia and provide a link to its web site. Click here. In the comments section below, please tell me about clubs you ride with in the Netherlands and provide a link to its web site. Click here. In the comments section below, please tell me about clubs you ride with in Norway and provide a link to its web site. Click here. In the comments section below, please tell me about clubs you ride with in the Philippines and provide a link to its web site. Click here. In the comments section below, please tell me about clubs you ride with in Spain and provide a link to its web site. Click here. In the comments section below, please tell me about clubs you ride with in Switzerland and provide a link to its web site. Click here. In the comments section below, please tell me about clubs you ride with in Sweden and provide a link to its web site. Click here. 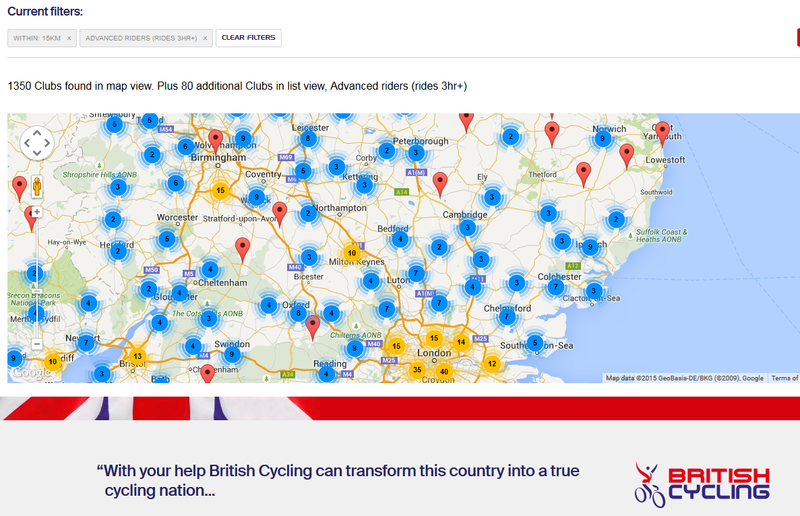 British Cycling makes finding a club in the UK easy. Here’s a link to their page showing clubs that organize training rides for advanced adult cyclists throughout the UK. You can find which of these clubs are based within a few miles of where you want to ride and further filter the list according to ride length, activities, and demographics you prefer. Which are your prefered enthusiast clubs in the UK? Share your club’s name, where it is based, its website link and one reason why you love being a part of the club in the comment section here. I’ll update this post with your favorites. I’ve enjoyed riding with the Beach Cities Cycling Club based in the South Bay/Redondo Beach, CA for about three years now. It fits exactly your description of the Monsters in the Basement club. I also met the Wild Betty’s when I went to the bike show–they are committed to women mountain bike riders–and they seemed like a great organization. I ride with 3 groups locally, a bunch of pals of a certain age like myself on a Tuesday with occasional trip away. Also on Sundays alternately a North Berwick informal group who have fast and slower options, info by email or Farceboak, and a club in Haddington, who ride together on Sunday, before splitting into fast & slow groups. All are very welcoming and good fun to be with. Also I’m interested by this definition of speed, round here it can be pretty hilly, so hard to define groups by speed alone. Note to self (and anyone else reading these comments). Add the Islington Cycling Club http://www.islington.cc/. A road cycling club with about 400 members near London organizing rides during the week and weekend. Looks like they have their act together. Any In The Know Cycling readers know of or ride with the club? I am part of the 5AM Wake-Up Ride group. The group was started (June 2009) by a group of friends with the intent of putting in a cycling ride before work. The 5AM Wake-Up Ride group is comprised of cyclists, runners, world-class triathletes, and people on bicycles. Members of the group utilize bicycles as an alternate form of transportation, to stay healthy, and to train for upcoming local, regional and national competitions. There are no formal membership requirements; folks can just show up and ride. There are also various levels so that there is always someone to ride with. dear all….I live in Brussels since 1 year and it is not easy to find a club in the city however I can help you out. for Saturdays and Sundays there is a group ride colled the Linde and they split in fast and slow group. for Sunday morning and Weds afternoon there is a group called Roval….also very fast …and they train around Grimbergen. for races I can suggest Paxx global cycling team…I race with them now..however they are not located in Brussels…as said there are not big amateur teams located in the city. I’ve been riding with Suffolk Bike Riders Association based in Suffolk County Long Island for over 30 years, it’s a great club with over 800 active members. We offer rides at all speed / distance levels and abilities, and newcomers are always welcome to come along on any ride. Website is sbraweb.org. It’s a robust website, and rides begin almost anywhere on Long Island, concentrating on central and eastern parts of Suffolk County. Steve, I need a picture of the Monsters on Saturday AM in WC for the Concord Bike Fest website. Can I use this one?